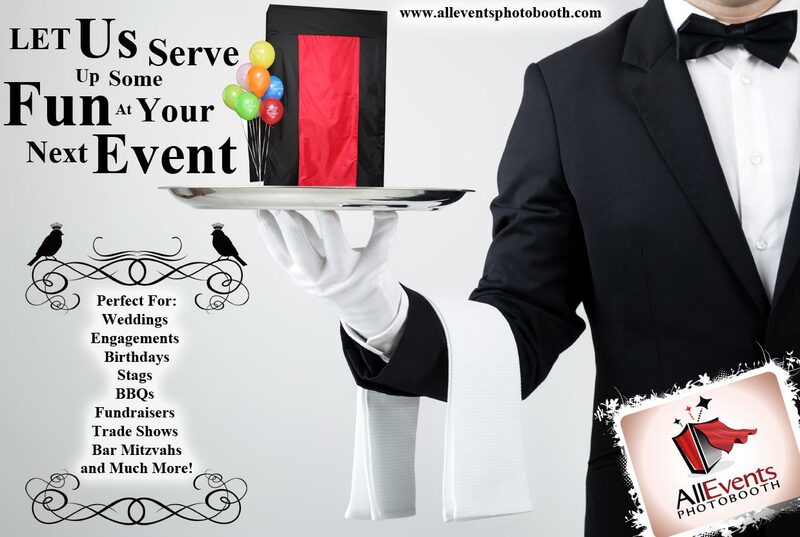 All Events Photo Booth and our staff are committed to providing our customers and their guests with an exciting and fun experience they will enjoy today and remember for years to come. Our Professional Representatives are both fun and charming to ensure a happy fun atmosphere for all of your friends to take part in. You will find our custom graphics on your photo lab quality print outs will far surpass your expectations and the competitions, considering we are the sister company of a Multimedia Production House. You can almost say, Graphics and Photography run in our veins. 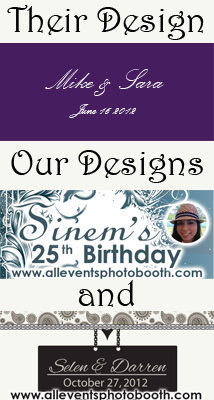 Our patented photo booths are designed for special occasions and are not the arcade mall style photo booths. The L.E.D Lights can be changed to fit your events colors. The back drops can be custom printed to anything you desire. Our staff members come from a large range of backgrounds (models, hosts, graphic designers, tv production, web design, actors, are just a few of the experts we have on-board), and are all here to make sure your event is an experience all your guests will remember!